Matt Kearns and the remnants of the scientific team return to a ravaged America. Modern medicine has failed to halt the spread of the flesh-consuming parasite, and humans have been forced to hide, even from each other. The infected roam the cities and suburbs of a ruined nation. But the devastating effects on human physiology are only the beginning. Something has been let loose, something that the team were not prepared for – human nature itself. Matt and Carla must make it back to the CDC headquarters, crossing the apocalyptic countryside that proves every bit as dangerous and deadly as the South American jungle. The race is on to test their eradication cure, before their world suffers the same fate as that of the giant saurians of prehistory. But there is something they don't count on – the solution has a high price. If they don't use the cure it means the end of mankind, but what if the remedy is worse than the disease? 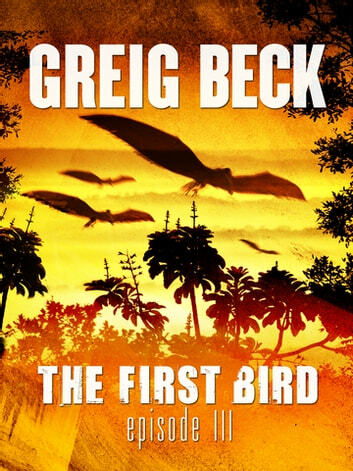 This is a novella-length episode of The First Bird. To read the full story, check out The First Bird: Omnibus Edition. I read the first 2 episodes in this series. Very exciting. But I was not happy with the depressing tone of this Episode 3. I expected a more uplifting ending after all the characters had gone through. I love the action, adventure, and escapism that this author provides, but ultimately I want to be entertained - not depressed.